The Electrolux Control System (ECS) has been developed to ensure accurate and reliable financial reporting and preparation of financial statements in accordance with applicable laws and regulations, generally accepted accounting principles and other requirements for listed companies. The ECS adds value through clarified roles and responsibilities, improved process efficiency, increased risk awareness and improved decision support. The ECS is based on the Internal Control – Integrated Framework (2013) issued by the Committee of Sponsoring Organizations of the Treadway Commission (COSO). 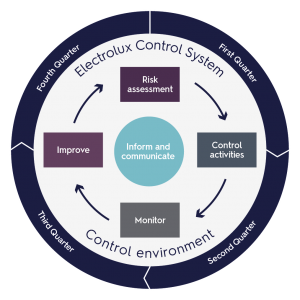 The five components of this framework are control environment, risk assessment, control activities, monitor and improve and inform and communicate. The foundation for the ECS is the control environment, which determines the individual and collective behavior within the Group. It is defined by policies and procedures, manuals, and codes, and enforced by the organizational structure of Electrolux with clear responsibility and authority based on collective values. 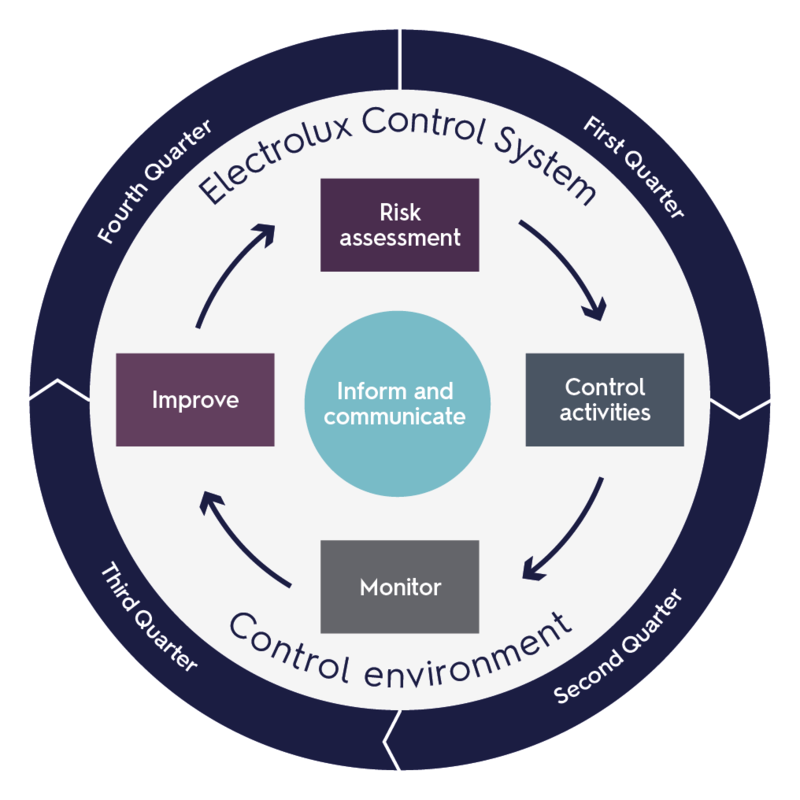 The Electrolux Board has overall responsibility for establishing an effective system of internal control.